If you’re like most home buyers, a down payment is the biggest obstacle between you and homeownership. Finding a lender with zero- or low-down-payment loans could be the difference between buying a home now or having to wait months or years. National programs, such as those backed by the Department of Veterans Affairs or the U.S. Department of Agriculture, offer loans with no down payment to qualified buyers. Mortgages underwritten to Federal Housing Administration guidelines offer down payments as low as 3.5% — and even today’s conventional loans can go as low as 3% down. As you can see, there are quite a few ways to get a mortgage with a low down payment or none at all, and there are obvious advantages to putting less money down. But there are disadvantages, too, such as a higher monthly payment, so it’s important to understand and compare your options before you buy a home. Ideal for prospective first-time buyers aiming for app-level convenience. With Rocket Mortgage, you'll find out in minutes what your loan terms will be — and be able to adjust the fees and corresponding interest rate. Ideal for low down payment borrowers looking for an excellent online experience. 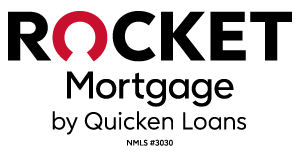 Quicken Loans is known for being a leading technology company with a strong emphasis on first-time homebuyers. Ideal for jumbo-loan borrowers who want a streamlined digital experience. SoFi's 10% minimum down payment requirement is low for a jumbo loan. Ideal for those with nontraditional credit histories. About 95% of the mortgages Vylla makes are FHA, VA or USDA. Ideal for borrowers who appreciate face-to-face service. With community-based loan officers in so many parts of the country, Flagstar reps are familiar with low-down-payment state bond programs for first-time home buyers and income-limited households. Ideal for first-time home buyers. Bank of America's Affordable Loan Solution mortgage requires only a 3% and no mortgage insurance premium. Ideal for those seeking a traditional bank. PNC offers FHA mortgages with down payments as little as 3.5%. Sellers may kick in up to 6% of purchase price toward the closing costs. Ideal for home buyers who have little saved for a down payment, and thus prefer to get an FHA, VA or USDA mortgage. Ideal for borrowers on a tight budget. CitiMortgage's HomeRun loan program allows for a down payment as low as 3% without private mortgage insurance. Ideal for servicemembers, veterans, DoD civilians and military family members who want options. Navy Federal Credit Union offers not one but three different $0 down payment mortgage options for military and related personnel. What’s the catch with no- and low-down-payment home loans? It depends on the type of loan you apply for. With FHA loans there can be geographic loan limits that put a cap on the price of the home you can buy. On HomeReady and Home Possible conventional loans, there can be income limits or a requirement that you are a first-time home buyer. Other loan programs are available to borrowers in some low-income regions. There are local and regional low-down-payment mortgage programs, with various criteria needed to qualify. Do I have to be a first-time home buyer for a low- or no-down-payment mortgage? Not always. For example, some low-down-payment loans are assisting buyers in economically disadvantaged areas, or catering to borrowers with military connections, such as with VA loans. USDA loans are looking to boost buyers in rural and suburban areas. Some conventional loans, such as HomeReady and Home Possible, have income limits rather than first-time home buyer requirements — though the programs also have first-timer spinoffs. 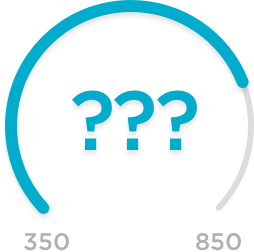 What’s the credit score required for a low- or zero-down-payment mortgage? To qualify for the lowest 3.5% down payment on an FHA loan, you’ll need at least a 580 credit score or better. With a score between 500 and 579, you’ll need a 10% down payment. On conventional loans, a 620 or better is generally required. For borrowers who have a military connection, VA loans don’t have credit score requirements — they’re based more on an applicant’s ability to repay the loan. However, lenders often require a 620 FICO score even on VA loans and can add their own credit score and other qualifications, so it’s always a good idea to shop more than one lender. Are there income limits on low-down-payment home loans? Sometimes but not always. In today’s “3% down is the new normal,” there is often a workaround. Income over the threshold? First-time buyers are excluded from such limitations. Same goes if you’re buying in a particular targeted area, or if you’re a military veteran. Yet, just because you can put just a little down doesn’t always mean you should. If you have a really good income, consider your down payment options along with everything else such as how long you plan to stay in the home and what’s a comfortable monthly payment. » MORE: What down payment is required? Can I get a low- or no-down-payment home loan with bad credit? Sure. Lenders are looking to make good loans. If you have the income and recent payment record that shows an ability and willingness to repay a loan, you can qualify — even with a checkered credit history. But the setback that dinged your credit has to be in the past. If you’re still worrying about paying your bills paid on time, it’s best to wait on buying a house, no matter how tempting low down payments may be.